Though at first glance the title to this gospel blues song may sound a bit oppressive, ‘Down On Me’ is actually an uplifting song which is rich with a history that keeps moving it forward. 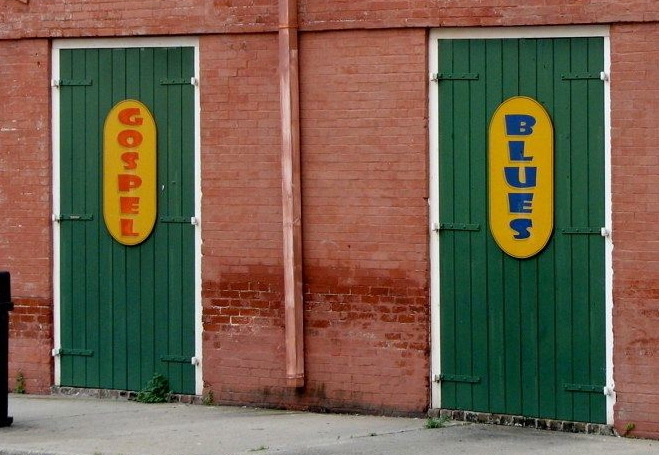 Gospel blues as a genre first gained prominence in the 1930’s, helped along greatly by the efforts of Thomas A. Dorsey. As a composer, Dorsey gave voice to a music that for a number of cultural reasons was ready to be shared with a wider audience. And though his music was not the only avenue for gospel blues to travel, he did work with some of the greats, such as Mahalia Jackson. ‘Down On Me’ traces the same arc as that of gospel blues in general, having its roots in the rural south and then migrating into more urban settings. And like a lot of lyrics in traditional music, words are fairly permeable from one song to the next. For instance, some versions of both ‘Down On Me’ and ‘Hand on the Plow’ have identical verses. 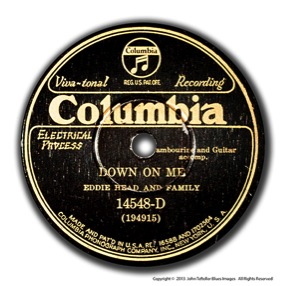 Though its authorship is lost in history, ‘Down On Me’ was first recorded by Eddie Head and his Family in 1930. The sound is rural, with lead vocal by Eddie, backing vocals that are almost chanted, and guitar and washboard accompaniment. It shows up on a couple of great compilations including ‘Goodbye, Babylon’ and ‘American Primitive, vol. 1’. Another early version is John Lomax’s 1940 field recording of Dock Reed, a soulful a cappela piece that really captures the rich rural sound of the south. It can be found in the Archive of Folk Culture at the Library of Congress. In 1963 the song kept its rural, acoustic flavor but moved into the urban scene by way of the folk revival. Eric Von Schmidt, a key player in the Cambridge folk scene and an early friend of Bob Dylan’s, included it on his 1963 album ‘Folk Blues. His version is a stripped-down piece comprised of just voice and harmonica. A few years later the song lost its acoustic roots altogether in the version most of us recall. Big Brother and the Holding Company, featuring Janis Joplin, covered the song on their 1967 debut self-titled album on Mainstream Records, prior to their signing with Columbia. That version keeps the melody fairly intact but does change up the lyrics a bit. Gone are the biblical references and what we get instead is “an old spiritual, revitalized and slightly bastardized” (this quote is from a letter Janis Joplin sent to her parents). 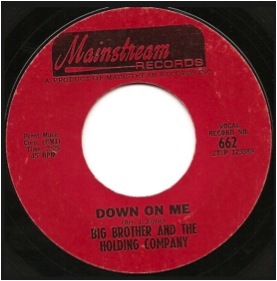 According to Big Brother guitarist Sam Andrew, the group liked to open with this song. “Believe in your brother, have faith in man. We hope we have a chance to share ‘Down On Me’ with you sometime in person! To see if the B-Side Growlers are playing nearby soon, check out our calendar or Facebook page. DeCurtis, Anthony. “Track X Track: Big Brother and the Holding Company.” Rolling Stone Sep 17 1998: 29. ProQuest. Web. 8 Aug. 2016 . Harris, Michael W. The rise of gospel blues. New York: Oxford University Press, 1992. Print. Joplin, Laura. “Love, Janis.” Rolling Stone Sep 03 1992: 55. ProQuest. Web. 8 Aug. 2016 . What’s in a name, you might ask? Well, for this song, that question comes up twice. First, the title…”Spo-dee-o-dee”? Second, the writer of the song…”Stick” McGhee? If you’re thinking there might be a story behind those questions, you’d be right. 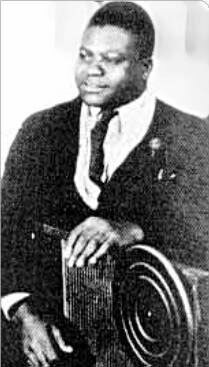 Granville “Stick” McGhee was an early era R&B musician, which helped bridge the horn-driven sound of jump blues with the sparser sound of early rock ‘n roll. He got his nickname because as a child he used a stick to push his polio-stricken older brother around in a cart. The McGhee family must’ve had a penchant for nicknames, because the older brother, Walter, went by “Brownie” (of the famous blues duo Sonny Terry and Brownie McGhee). 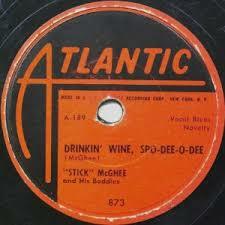 “Drinkin’ Wine Spo-Dee-O-Dee” was first recorded by McGhee on Harlem Records in 1947, but it was his 1949 recording on Atlantic Records for which he received wide acclaim. The song was the first big hit for Ahmet Ertigan’s fledgling label, and re-directed the label’s original focus from jazz toward R&B. 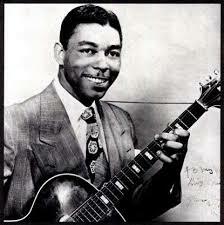 The song itself, however, was written even earlier than 1947 while McGhee was still in the military during WWII. That version, so the story goes, was much less appropriate for public airplay. Thus, when it came time to record the song Stick substituted “spo-dee-o-dee” for the original four syllable off-color phrase (I’ll let you mentally run through your own list of possibilities). The B-Side Growler version (check out our video below) couples these lyrics with an acoustic R&B shuffle…this song’s a lot of fun to play! We hope we have a chance to share it with you sometime in person! To see if the B-Side Growlers are playing nearby soon, check our Facebook page located here. Guralnick, Peter. Sweet Soul Music: Rhythm and Blues and the Southern Dream of Freedom. New York: Back Bay Books, 1999. 55-71. Print. McNally, Dennis. On Highway 61: Music, Race and the Evolution of Cultural Freedom. Berkeley, CA: Counterpoint Press, 2014. 249-67. Print. Mehrabian, Albert, and Marlena Piercy. “Differences In Positive And Negative Connotations Of Nicknames And Given Names.” Journal Of Social Psychology 133.5 (1993): 737-739. SocINDEX with Full Text. Web. 28 Feb. 2016. Woman working the washboard back in the day. Adding upbeat percussion to a song can immediately cause toes to tap, heads to bob, and feet to shuffle. In short, it can give the music some swing! But swinging with a washboard? Those who were responsible for time-consuming household chores back in the day might take issue with that idea. 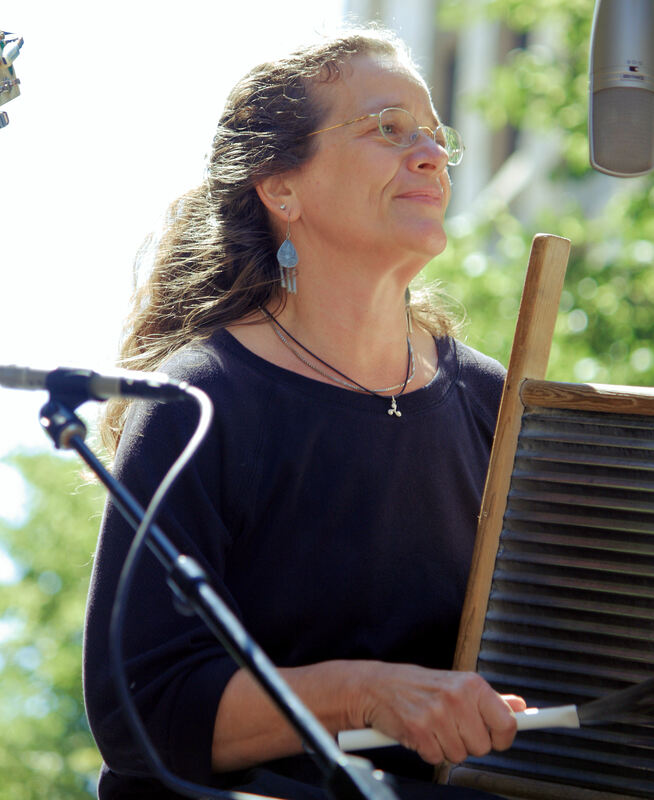 Folk percussion has always relied on items commonly found in any setting…such as a washboard. But Russel Roth states that even the washboard has a precursor. He describes it as “a modification of the jawbone”, for in rural settings people played the jawbone of farm animals such as mules. Roth goes on to say that “sticks or thimbled fingers drawn across the corrugations of the washbard produce a sound corresponding to that effected by scraping a stick along the teeth of the skeletal jaw”. It is this sharp, staccato rhythm that gives the washboard its unique sound. Eventually, the washboard found its way into a variety of musical settings. Most of these were folk in nature, such as skiffle and jug band music, but the washboard seems to stand alone as the one folk instrument that was regularly used in the more urban, trendy settings of jazz and blues. An excellent example of jazz which features the washboard comes from the early music of Johnny Dodds and Louis Armstrong. 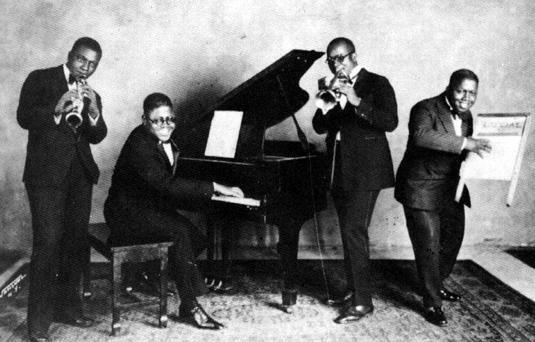 Their 1927 recording of The Blues Stampede showcases Jimmy Bertrand on washboard as he backs up the remaining quartet of clarinet, cornet and piano. Floyd Casey, who played with Clarence Williams on sides such as Beer Garden Blues, is another well-respected jazz percussionist who played washboard. Washboard infused blues found a great frontman in Chicago bluesman Washboard Sam (Robert Brown). Often accompanied by his half-brother Big Bill Broonzy, this prolific artist was known for both his playing and his songwriting skills. In the 30’s and 40’s juke boxes across the city held his records, but unfortunately Sam never successfully navigated the era of electric blues and his popularity waned. However, Rick “Cookin’” Sherry keeps the Chicago acoustic washboard scene alive to this day with his group Devil in a Woodpile. “Swing, come on and swing, when they play that washboard swing”. Woman working the washboard today. Our version features Mary playing with metal picks on her fingers, though on other songs she makes use of an array of brushes to vary the washboard’s sound (check out our video below). We hope we have a chance to share this song with you sometime in person…and with modern conveniences such as the washing machine, freeing up time to come out should be no problem! To see if the B-Side Growlers are playing nearby soon, check our Facebook page located here. Roth, Russell. “On the Instrumental Origins of Jazz.” American Quarterly 4.4 (1952): 305-16. JSTOR. Web. 28 July 2015. McCarthy, Albert. Jazz on Record: A Critical Guide to the First 50 Years, 1917-1967. London: Hanover Books, 1968. Print. How’s this for a theory: dear Liza and dear Henry enjoyed their beer…why else would they want to mend their bucket when it got a hole in it? Turns out the original ‘growler’, that half gallon glass vessel currently in vogue to tote craft beer around, was nothing more than a bucket. Before pressurized kegs, these buckets (also called growlers) allowed folks to get quantities of beer from the local pub or brewery to their homes and workplaces. As the 1892 photo above shows, a growler rusher, oftentimes a young man, would ‘rush’ to get buckets filled and bring them to wherever they were needed. 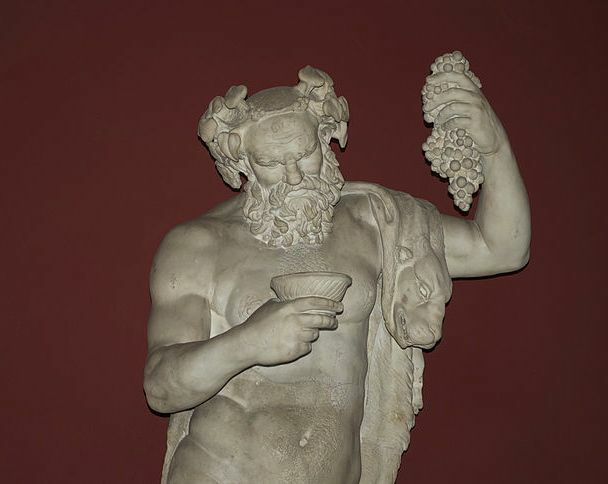 And even though drinking establishments prior to prohibition were predominantly thought of as the domain of men, the use of growlers was definitely pursued by women as well. According to Madelon Powers, “female drinking groups…were much more likely to purchase alcohol to take away”. And in urban tenements many commented on how women often, “shared a bucket of beer”.¹ However, with the advent of bottle, can and keg technology the need to get beer in buckets became obsolete. Then, with the resurgence of craft brewing the growler made a comeback in the form of a 64 oz. glass jug. Some trace the first use of this new growler back to the Grand Teton Brewery in the late 1980’s. Like many small breweries, the owner found bottling and can technology too expensive, and when lamenting that fact his father shared his memories of getting beer in buckets. Thus, the modern growler was born. And you can imagine the problem that might arise if your growler had a crack in it…or if your bucket had a hole in it. The song ‘My Bucket’s Got A Hole In It’ (not to be confused with ‘There’s a Hole in my Bucket, Dear Liza’) is at least as old as early recorded jazz and blues, but probably older. Versions from the 20’s and 30’s by the likes of Washboard Sam and others attribute the song to Clarence Williams, but it was not uncommon for songs to be ‘published’ by whoever was putting the record out, regardless of true origin. 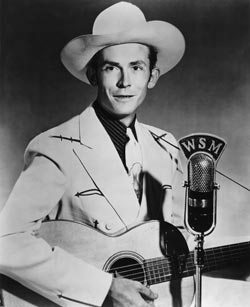 Widespread popularity of the song came with the 1949 version by Hank Williams, but it’s been done by countless other artists as well. These include renditions by Louis Armstrong, a duet between Willie Nelson and Wynton Marsalis, and one by Jimmy Page and Robert Plant on Good Rockin’ Tonight: The Legacy of Sun Records as they channel the Sonny Burgess original. “My bucket’s got a hole in it (3x), I can’t get no beer”. The verses, however, vary widely. The version we use is more in line with the old blues artist Washboard Sam, thus making it a bit seedier and full of innuendo (check out our video below). We hope we have a chance to share the song with you sometime in person. To see if the B-Side Growlers are playing nearby soon, check our Facebook page located here. Perhaps it will be in a venue where you can get your growler filled…and honestly, here in Beer City Grand Rapids, where would you really rather be? B-Side Growlers, of course! 1. Powers, Madelon. “Women and public drinking, 1890-1920.” History Today 45.2 (1995). Proquest Research Library. Web. 10 Jan. 2015. Ask any Marvel-eyed moviegoer to describe a hammer and they’d probably say it is powerful, solid, strong, a tool of a god such as Thor…which it is. Well, at least the powerful, solid and strong part. But a hammer can also be a heavy weight, a burden to carry. And it is this dual personality of the hammer that is evident when looking at the history of the song ‘Take This Hammer’. In the late 1860’s, when the C&O Railroad began navigating it’s way across the Appalachian Mountains from Chesapeake Bay to the Ohio River, the tunneling and grading was done by men, not machines. Men, mostly former slaves, wielding 9 lb. hammers would create holes in the rock so that explosives could be set, sometimes measuring their progress in centimeters per day. As you can imagine the work was grueling, and it was also extremely dangerous as hundreds lost their lives due to the dust, fumes and unexpected rockslides. So, it is easy to see how the idea of being a man strong enough to rise above this work and somehow leave it behind was the stuff of dreams and legends. The folk hero John Henry was such a man. Based in fact, it is said that he died after having defeated a steam-powered hammer in a contest. Like the hammer itself, in the end it is the dual nature of his story that lives on: the legend of a strong, powerful man conquering the heavy weight of the life he found himself living. Perhaps a hammer is a tool of the gods, after all. 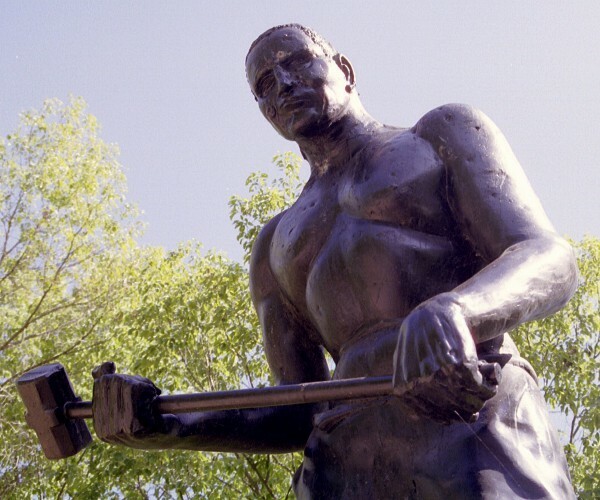 John Henry and his hammer may be the most sung about theme in traditional American music. The variations to be found are numerous: ‘Take This Hammer’, ‘Spike Driver Blues’, ‘John Henry’, ‘Nine Pound Hammer’…the list goes on. Just as varied are the artists who have covered these songs, starting with Mississippi John Hurt’s 1928 version of ‘Spike Driver Blues‘, one of the earliest recordings based on John Henry. 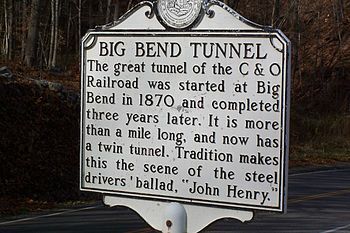 Other artists include Merle Travis (Nine Pound Hammer), Bruce Springsteen (John Henry), Mark Knopfler w/Notting Hillbillies (Railroad Worksong), and Leadbelly and Odetta (who both did more than one of these), to name a few. But regardless of the version, it is the lyrics of any of these variations that speak to John Henry’s enduring legacy of strength and hope. Chorus: Take this hammer, carry it to the captain (3x), tell him I’m gone, tell him I’m gone. 1. If he asks you, was I running (3x), tell him I was flying, tell him I was flying. 2. If he asks you, was I laughing (3x), tell him I was crying, tell him I was crying. 3. This is the hammer killed John Henry (3x), but it won’t kill me, it won’t kill me. Along with these lyrics, we intersperse an old fiddle/banjo tune called ‘Logan County Blues’. 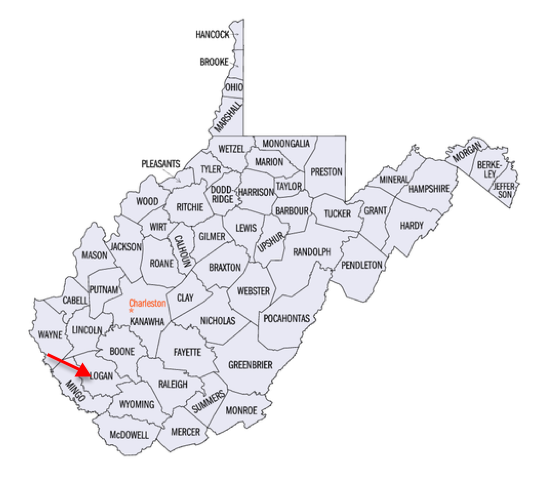 The Logan County it most likely originates from is found in West Virginia, the heart of early railroad country, including the C&O. We also kept the folk tradition alive by taking a few liberties with the melody and chord progression of ‘Take This Hammer’, staying true to the original but making it our own (check out our video below). We hope we have a chance to share it with you sometime in person. To see if the B-Side Growlers are playing nearby soon, check our Facebook page located here. Cohen, Norm. 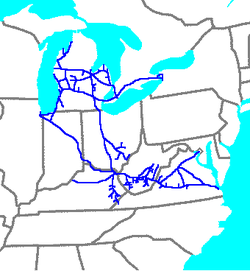 Long Steel Rail: The Railroad in American Folksong. Chicago: University of Illinois Press, 2000. Nelson, Scott Reynolds. Steel Drivin’ Man: John Henry, the Untold Story of an American Legend. New York: Oxford University Press, 2006.